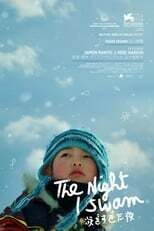 A lovely, zen-like little film about a young boy in snowy Japan looking for his fisherman father. The Night I Swam is directed by Kohei Igarashi, Damien Manivel and was released on Apr 14th, 2018. Director Kohei Igarashi, Damien Manivel's Drama movie The Night I Swam is produced by MLD Films & Shellac Sud & was released 2018-05-02.